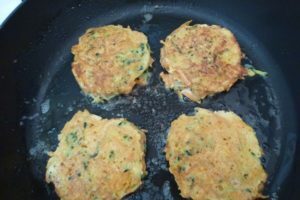 These kumara & zucchini pancakes are a delicious quick lunch and a great alternative to my favourite brunch staple, corn fritters. Serve them piping hot with avocado, chutney or relish, or sour cream. 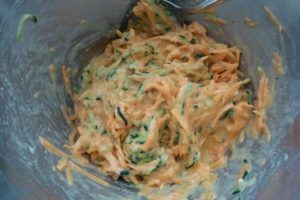 This year I successfully grew kumara (sweet potato) in containers and have been looking for different recipes to use them in. 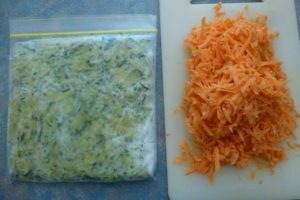 I also have masses of zucchini (courgettes) in the freezer, grated and frozen in 1 cup lots ready to use. Place grated zucchini in a colander and carefully squeeze out excess moisture through the holes. 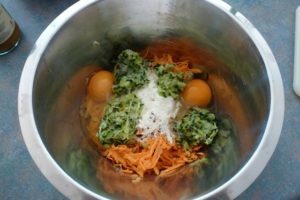 Place zucchini into a large bowl and add kumara, eggs, salt, pepper and flour. Stir to combine. Heat a large heavy-bottomed frypan or cast-iron skillet over medium heat. 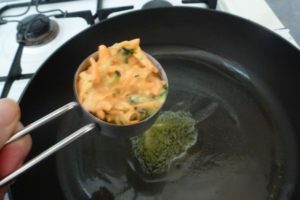 Melt 1/2 tablespoon butter or oil in frypan; swirl to coat. Spoon approximately 1/4 cup of the batter for each pancake into the hot pan. Cook for about 3-5 minutes until bottoms are a golden brown; turn and cook a few minutes more. Remove pancakes from pan and place on a covered plate while you cook the remaining pancakes. Add more butter to the pan as necessary. 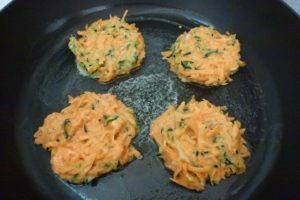 Serve pancakes warm with your choice of topping: sliced avocado, tomato relish, a favourite chutney, or try adding some paprika to sour cream or yoghurt. 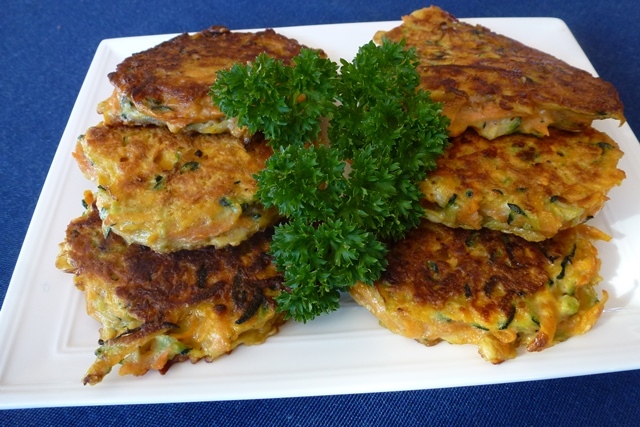 This recipe made 6 pancakes – you can easily double the recipe to make a larger quantity.